Every year, Virtuoso releases their Luxe Report on the top vacation spots going into the new year. We thought we’d give you our take on their top city and most popular destination for 2019. 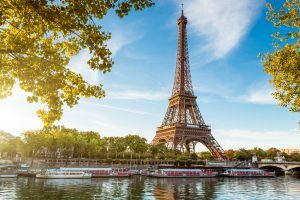 From a town known as the city of love to a region built for travel enthusiasts, check out where your clients should travel during 2019. For years, Paris has topped our list of must-go’s. Whether you’re new to the travel industry or have experience visiting the French before, Paris is hard to beat. Here’s why. It’s the most romantic city in the world. With a language known for its romantic flair to lovers perusing its streets, Paris is hailed as the most romantic city on earth. However, it’s not just the romance between people; it’s between the history, the architecture, the parks. Whether it’s the fashion or the literature, everything Parisian oozes with love. Whether your clients are visiting Paris with a loved one or by themselves, it’s hard to ignore the romance of Paris. Every foodie dreams of French cuisine. French pastries, French cafes, French bistros, Paris is all about cuisine. Created through a culture that sees food as a way of life, Paris is internationally-known as a pillar of the food community. The city boasts hundreds of Michelin stars, several world-renowned chefs, and restaurants bursting with Parisian character. From innovative menus to classic French treats, everything you eat in Paris will be so good you won’t know what to eat when you go home. The history draws you in and keeps you coming back. There are many reasons to visit Paris, but one of them has to be its history. As one of the oldest cities in the world, Paris boasts an impressive display of art, architecture, and museums that burst with history from every seam. Travel through time by walking the streets of Paris. Starting from the Île de la Cité (the birthplace of Paris in 300 B.C) to the 12th century Notre Dame, you can then wander up Haussman’s 19th century Champs-Elysees into the heart of modern, commercial Paris. The colorful history of Paris makes it the city to see this next year. Join the French for your Parisian visit during the holiday season. The city sparkles to life with full-festive mood. From traditional white lights lining the town to a one-of-a-kind Christmas shopping boutiques, Paris is the perfect holiday spot. The history and culture is one-of-a-kind. From the crumbling ruins of Rome to the history-laden streets of Florence, Italy is full of culture. Many visitors travel to Italy to explore the countless pieces of history within its borders. In fact, Italy is home to more UNESCO World Heritage Sites than any other country in the world. Travelers can visit 47 cultural World Heritage Sites and four natural World Heritage Sites, ranging from the archaeological areas of Pompei, Herculaneum and Torre Annunziata to the Aeolian Islands and the Dolomites. Italy is full of secluded, outdoor paradises. Love cliffside spots where you can park your boat and swim in perfectly turquoise water? Italy is your vacation spot for 2019. Home to hundreds of beautiful deserted islands, the country is every outdoor enthusiasts’ favorite place to visit. Do you love white-sand beaches? Perfect—there are uncrowded beaches up and down the countryside. Are you into postcard-worthy fishing towns? Rejoice! Visit Lampion to experience a genuinely uninhabited outdoor paradise. Many travelers visit Italy purely for the cuisine. Visit, and you won’t blame them. Wherever you find yourself in Italy, Italian and international eateries aren’t far behind. With over 300 different types of pasta and freshly made Italian pizza, you’ll be hard pressed to find a well-versed traveler who doesn’t know a thing or two about Italian cuisine. 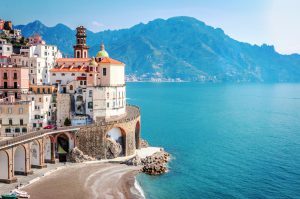 The best time to find yourself in an Italian state of mind is in the spring (April to June) or fall (September and October) when there are fewer tourists, cheaper accommodations, and better temperatures. Need more tips for helping your clients pick their 2019 travel destinations? Contact the Andavo Team today!